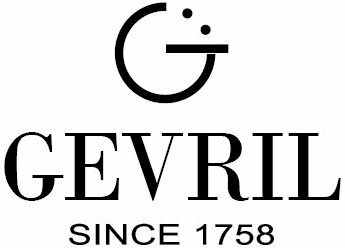 The Gevril name has been around since the mid 18th century when founder Jacques Gevril made his first chronometer in 1743. 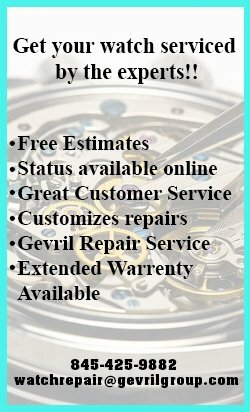 Gevril went on to achieve many accomplishments, such as inventing the repetition dial in 1744 and being appointed Royal Swiss Watchmaker to the Spanish Crown under King Ferdinand VI. The brand continued to pass through the generations maintaining a reputation for making fine watches and clocks, including a specialty in enamel dials. To give you an idea of the quality, the Wilsdorf family, the founder of Rolex, chose one of Gevril’s pocket watches to put on display in their own museum. 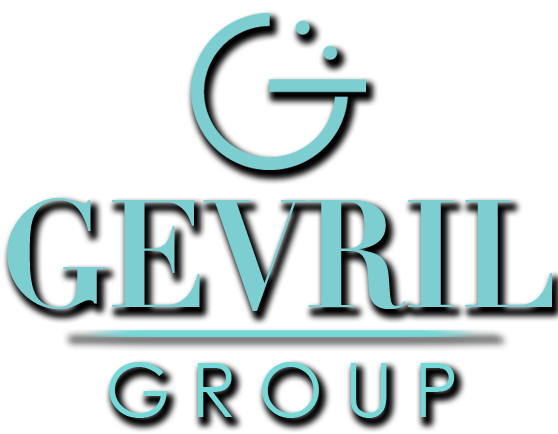 However, Gevril watches receded to the background until 2001 when Samuel Friedmann bought the rights to the name in order to rejuvenate the brand to its former glory. All Gevril collections pay tribute to what many consider one of the greatest cities in the world: New York. The Avenue of Americas models take their name from that landmark street that runs through the Big Apple. Otherwise known as Sixth Avenue, Avenue of the Americas has played host to many grand buildings including the Hippodrome Theater, Radio City Music Hall, and one of the granddaddies of them all, Rockefeller Center. It is also the street of choice for the Village Halloween Parade in Greenwich Village. 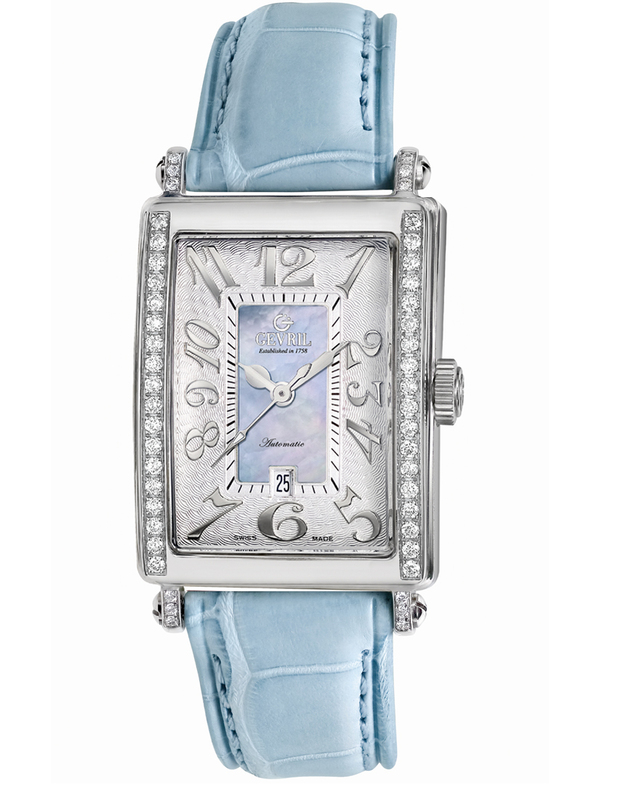 With such a grand billing, the Gevril Avenue of Americas Glamour women’s watches have a lot to live up to-and they do. 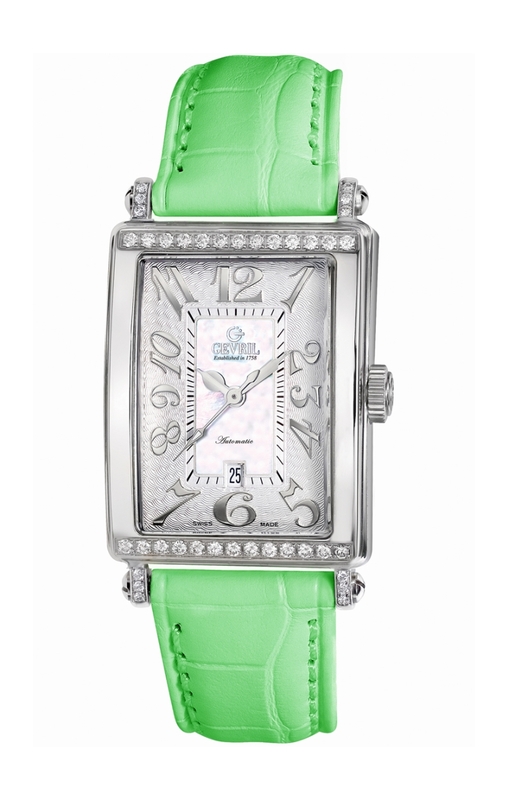 In a rectangular stainless steel case that curves to hug the wrist, these limited edition watches have a distinct Art Deco styling reminiscent of the 1930’s. The dial features a date at 6 o’clock and characteristic Arabic script hour markers that punch up the pizzazz. 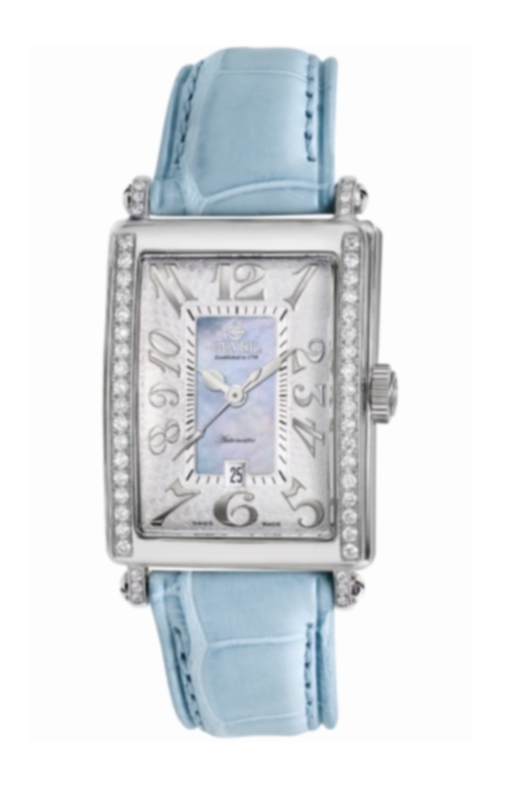 The Avenue of Americas Glamour watch offers a mother-of-pearl dial in pink, light blue and white along with matching colored Alligator-textured leather straps. 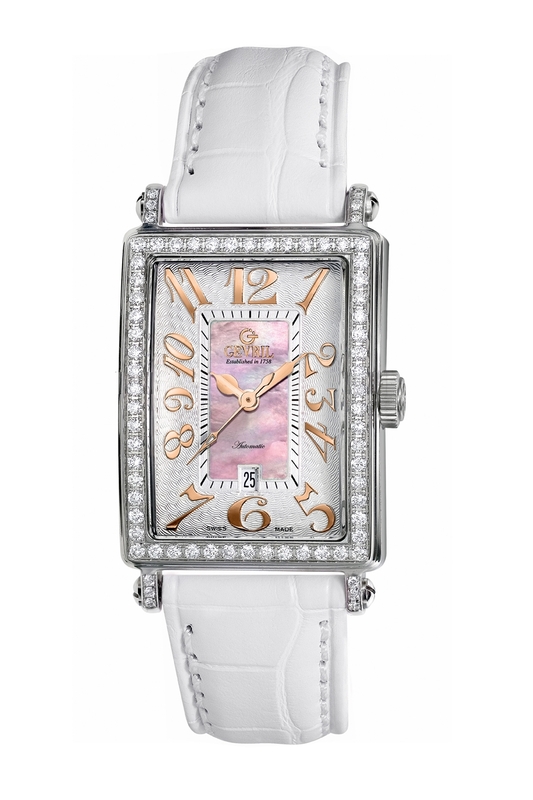 To give some sparkle to the piece, the Avenue of Americas Glamour watch has top Wesselton full cut diamonds embedded in the case and lugs ranging from a total of .58 to 2.21 carats. 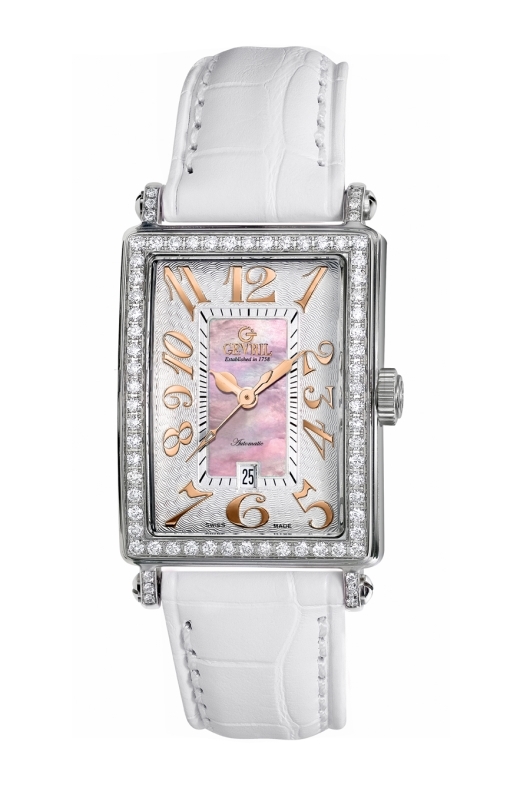 Gevril adds even more distinction to the women’s Avenue of Americas Glamour line by putting in an automatic movement, as more and more women are realizing the beauty and value of a mechanical movement. The Gevril collections are very exclusive, producing only 500 pieces in stainless steel and 100 pieces in 18K gold. Women wearing an Avenue of Americas Glamour watch will know that they have something special on their wrist that marks them as an individual.